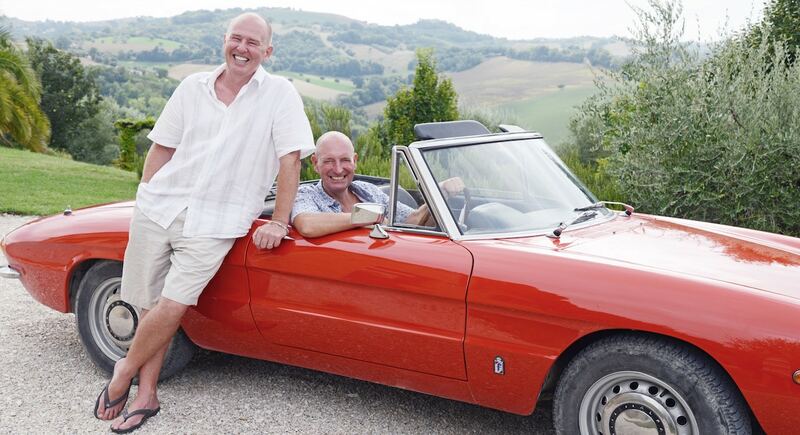 Hi, we are Bob and Ian and 12 years ago we realised our dream, abandoned the London corporate rat race, and moved to Le Marche in Italy. The restoration was a labour of love and after two years working with local craftsmen we started welcoming guests to Casal dei Fichi. In that time we have developed a real passion for the area with its magnificent beaches, dramatic mountains and restorative countryside. Add to that the warm and friendly people who have embraced us into the community and shared with us the great food, wonderful restaurants, vineyards and treasures of the region and you will understand why our guests envy our lives. Whether you are a couple seeking an intimate get away or a family in search of a great holiday we look forward to welcoming you and help you discover your own Marche. For a week or so, we can help you to share in our dream. 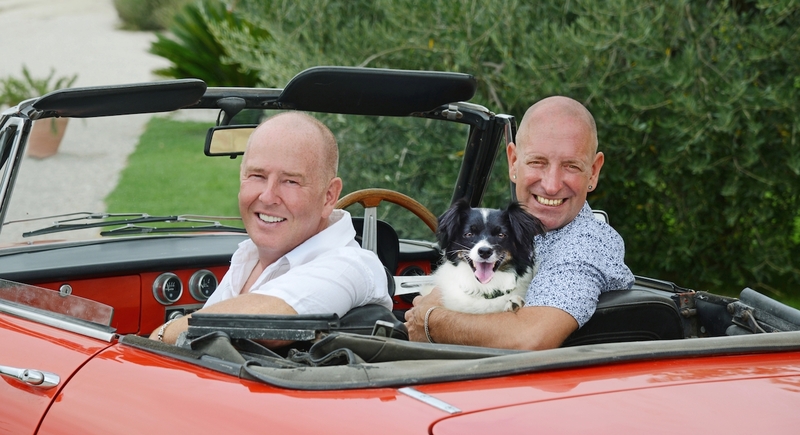 For 2 city boys having lived in London, Manchester and Silicon Valley the move to the country proved a much bigger life change than moving to another country. The language was a challenge but in an area where English is hardly spoken (sophisticated Tuscans will tell you that neither is Italian) we soon had to learn, how else can you forge real friendships? For Bob the opportunity to have dogs again was important and Balzo and Hattie soon became indispensable members of the management team. Ian’s dream of having a swimming pool was realised when he was the first to plunge in on his 42nd birthday. Now yet another motive for rising early is to swim before our guests wake up. It sums up our approach which guests are kind enough to call “always available but never intrusive”.